Caroline Sandura is a Barrister at Law of England and Wales and is a registered Legal Practitioner in Zimbabwe. She holds a Joint Honours Degree in Law and Politics from Keele University (UK). She joined the then Posts and Telecommunication Corporation until its transformation to TelOne (Private) Limited. During this period she held several positions which include being Manager Legal and Regulatory Affairs, Manager Legal and International Affairs and Manager Legal and Public Relations. She is currently the Company Secretary and Legal Advisor for TelOne and is also responsible for the Corporate Communications portfolio. Caroline Sandura has been and is currently a member of several Boards. Bartholomew Mswaka graduated in Economics in 1980 from the University of Zimbabwe. In 1981 Bart joined the staff of the Reserve Bank of Zimbabwe where he worked until 1989 when he left to join the Bank of Botswana as an expatriate manager. He left Botswana in 1996 and joined Fleming Martin Edwards (Edwards) as one of its managers. Bartholomew left Edwards in 1999 to become the Managing Director of HSBC Securities (later to become ReNaissance Securities). 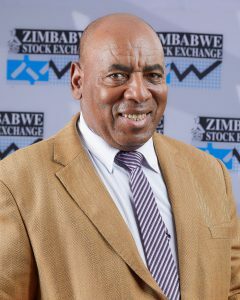 Bartholomew is a registered Stockbroker and is a former Chairman of the Zimbabwe Stock Exchange. He is currently the Chief Executive Officer of St Giles Medical Rehabilitation Centre. Mr Mswaka is a pension fund trustee and Chairman of Fintrust Pension Fund, Comarton Preservation Fund and the Comarton Managed Pension Funds Consortium. He also sits on the Boards of Untu Holdings Limited, CIMAS and Makera Cattle Company.Bartholomew is the Patron for Pathway Primary School, a private school in Zengeza, Chitungwiza. 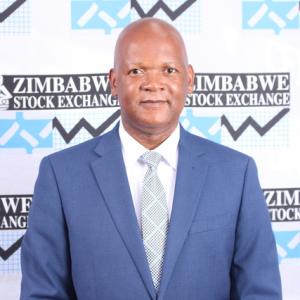 Hewas recently appointed Board Member and Chairman of Zimbabwe Asset Management Company (ZAMCO), a wholly owned subsidiary of the Reserve Bank of Zimbabwe. Daniel is the Accountant General in the Ministry of Finance and Economic Development. He has over thirty-six years of experience working in or with the Public Sector in Zimbabwe and the region. Daniel has provided extensive public sector financial consulting support to a range of institutions within the region. His regional experience covers Malawi, Zambia, Mozambique, South Africa, Namibia, Ghana, Uganda and Zimbabwe. His sector experience covers Health, Posts and Telecommunications, Public Finance Management, Supreme Audit Institutions and Urban and Rural Local Authorities. He served for nine years as the Global Fund Local Fund Agent Team Leader in Zimbabwe. He has presented a number of papers at diverse forums on the following business issues: Privatisation, Change Management, Time Management, Financial Management, Public Procurement, Governance, Economic Environment and Government Budgeting. 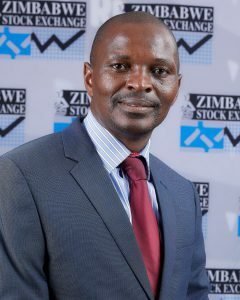 He is currently a non-executive member of the Zimbabwe Stock Exchange and chairs the Board’s Audit and Risk Committee. Kholisani Moyo is a holder of Master of Science Degree in Fiscal Studies from NUST, Bachelor of Science in Economics Honours Degree from University of Zimbabwe, National Diploma in Marketing Management from Bulawayo Polytechnic College and Australia Awards Fellowship in Mining Resources: Sustainable Management of Revenue Flows from University of Sydney.He also has several taxation certificates from the University of Pretoria, which include International taxation, excise taxation and taxation of natural resources. 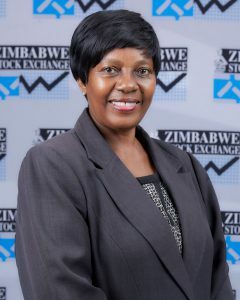 A taxation and financial expert, Kholisani Moyo rose through the ranks in the Ministry of Finance and Economic Development to become a Chief Economist in the Department of Financial and Capital Markets. He has a total of 15 years’ experience in the Civil Service of which 11 years was spent in the Revenue and Tax Policy Department of the Ministry of Finance and Economic Development. Benson is the Managing Director of FBC Securities (Private) Limited a brokerage subsidiary of a financial services group FBC Holdings. He sits on several Board and Executive management committees within the FBC group. 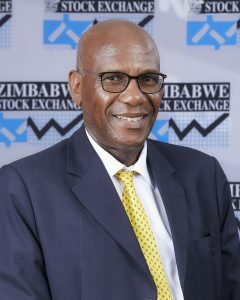 Ben is a registered stockbroker, Chairman of the Stockbrokers Association of Zimbabwe, Chairman of TIB Insurance, Chairman of Corporate Governance and Risk Committee of the IODZ and a full member of the South African Institute of Financial Markets. He holds a Master of Science in Strategic Management and a Masters in Business Administration. Additionally he holds qualifications in Management, Risk, Banking and Business Leadership. He has been involved in financial services for over 10 years. Mrs Svova has more than 25 years’ experience in finance and accountancy gained both in the Profession and in Industry. She is a results, detail oriented leader who is able to relate and interface easily at top executive levels having worked at senior executive level for the greater part of her working life. She is an enthusiastic proponent of women and youth empowerment. 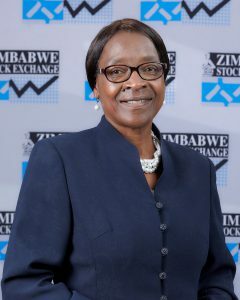 She has previously been a director at Zimbabwe Power Company P/L ,NMB Bank Limited, Destiny Electronics P/L(former Phillips Zimbabwe), Ambassador Insurance Brokers P/L and Trinidad Industries P/L .She currently seats on the board for the following companies Genius Advisory Services ,Zimbabwe Stock Exchange Limited ,START Africa and Export Credit Guarantee Corporation. Markus is a registered legal practitioner in Zimbabwe and has over 20 years’ experience in commercial legal matters, corporate administration and the financial services sector in SADC. His areas of expertise include Legal Counsel, Advisory Services, Debt and Equity Capital Financing, Structured Trade and Commodity Finance, Corporate Restructuring, Collateral Structuring and Credit Process Management, Mergers, Acquisitions and Securities. Currently the Managing Director of Imara Fiduciary (Private) Limited. a collateral and debenture trustee business. Before joining Imara he was legal counsel for Ecobank Zimbabwe whose parent company, Ecobank Transnational Incorporated, is listed in both Ghana and Nigeria. Prior to this he was Group Legal Counsel and Company Secretary for BancABC Limited, listed on both the BSE and ZSE. 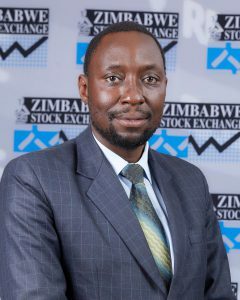 Obert is the Finance Director of the ZSE Limited and Principal Officer of the Company’s Pension Fund having joined the Company in July 2012. He is a Registered Public Accountant and a Fellow of the Association of Chartered Certified Accountants. 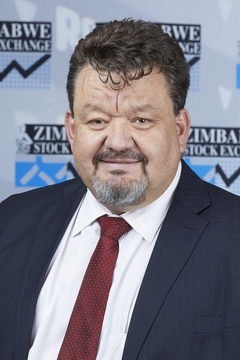 Prior to joining the ZSE Limited, Obert held senior financial and management accounting positions in three companies listed on the ZSE which had operations in financial services, insurance and hospitality sectors. 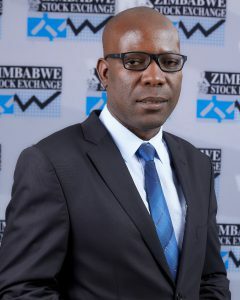 Obert also serves as a Director of Chengetedzai Depository Company Limited.